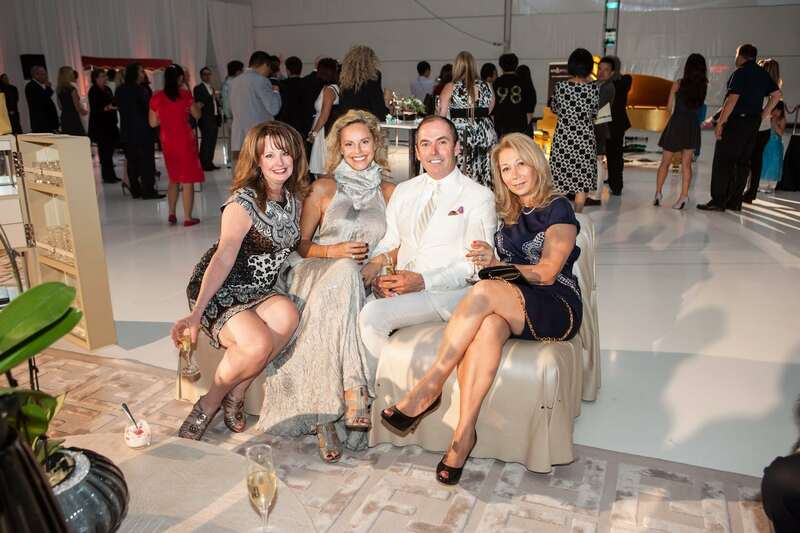 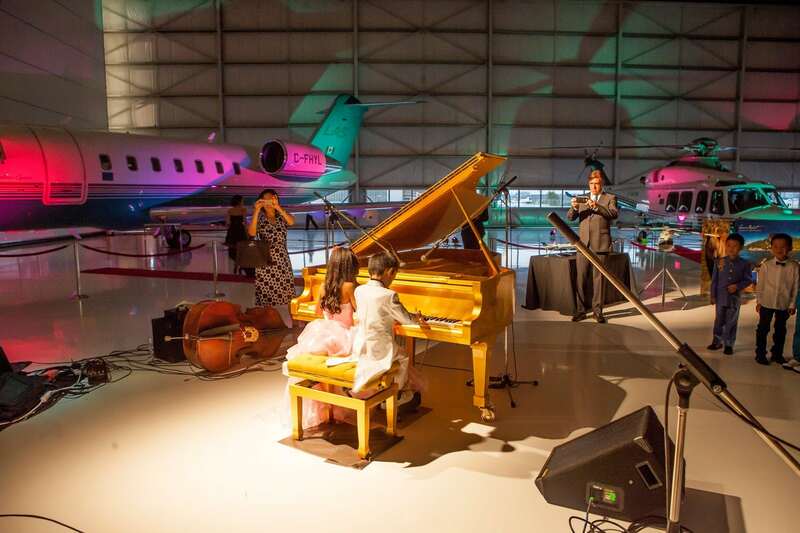 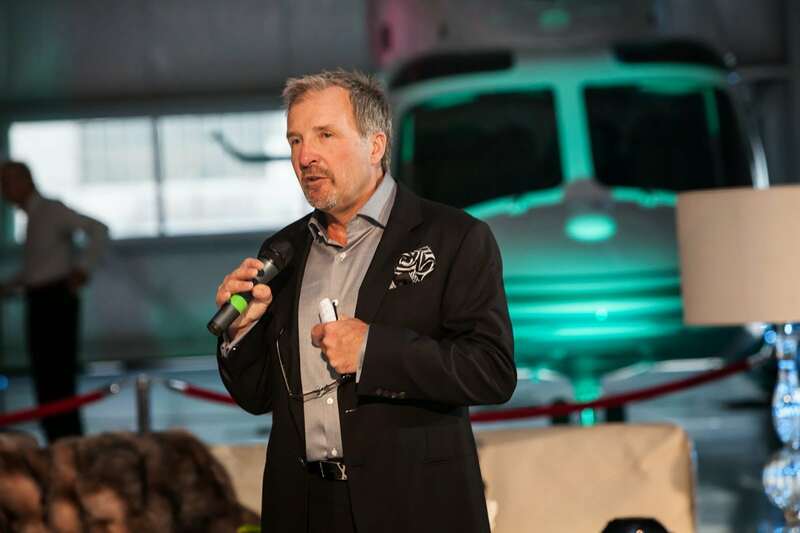 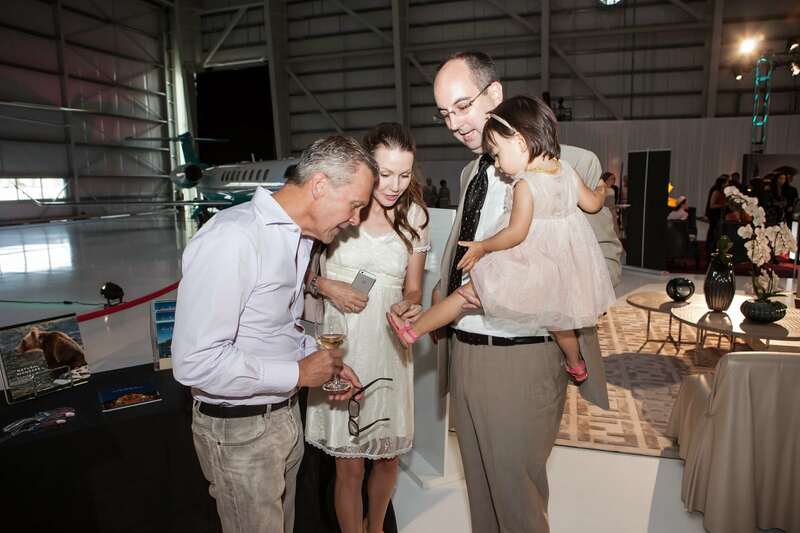 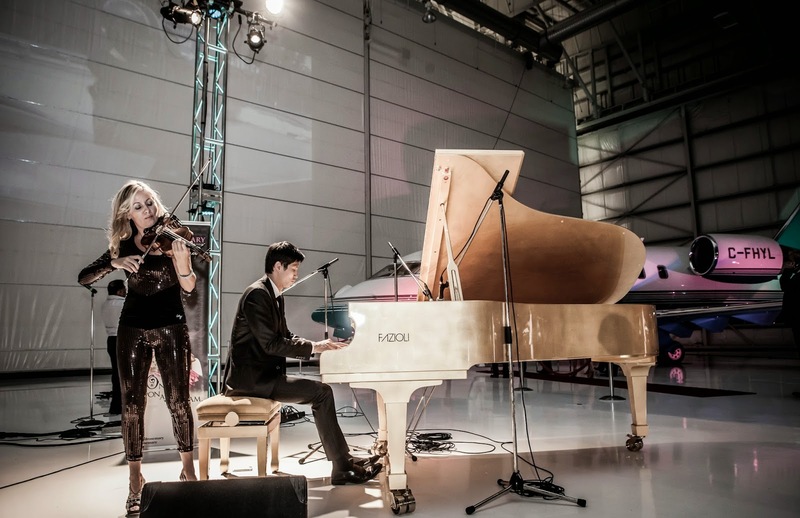 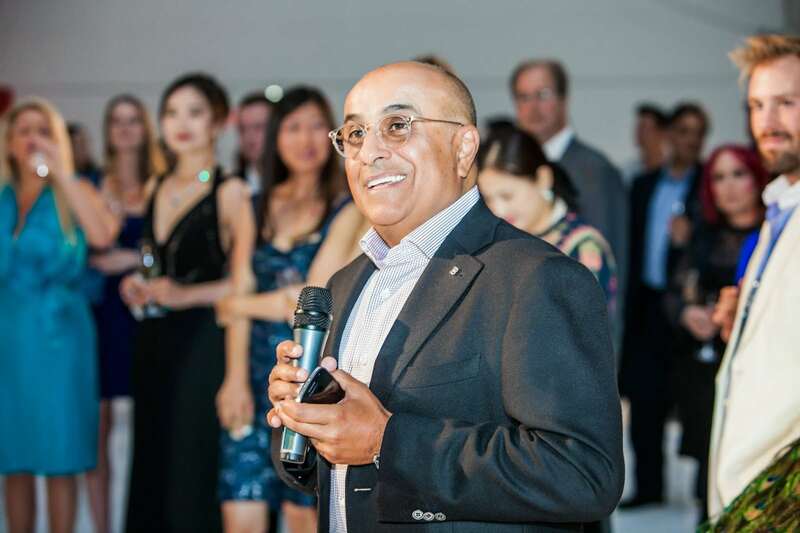 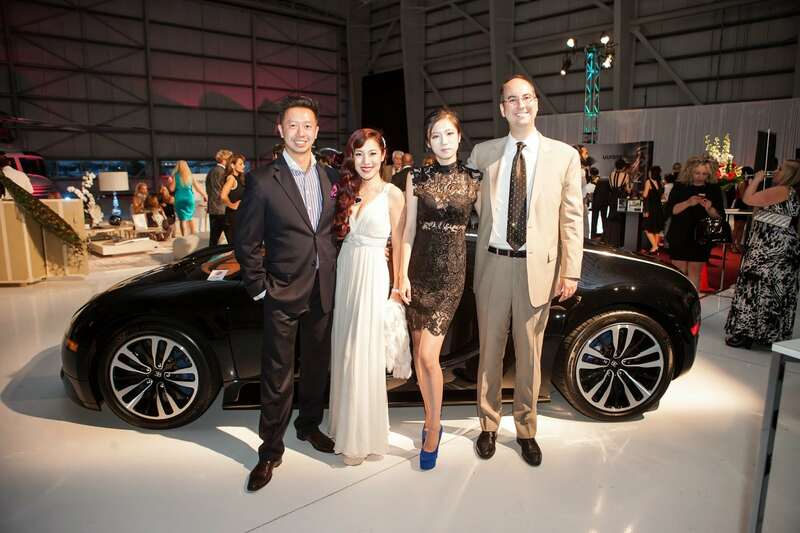 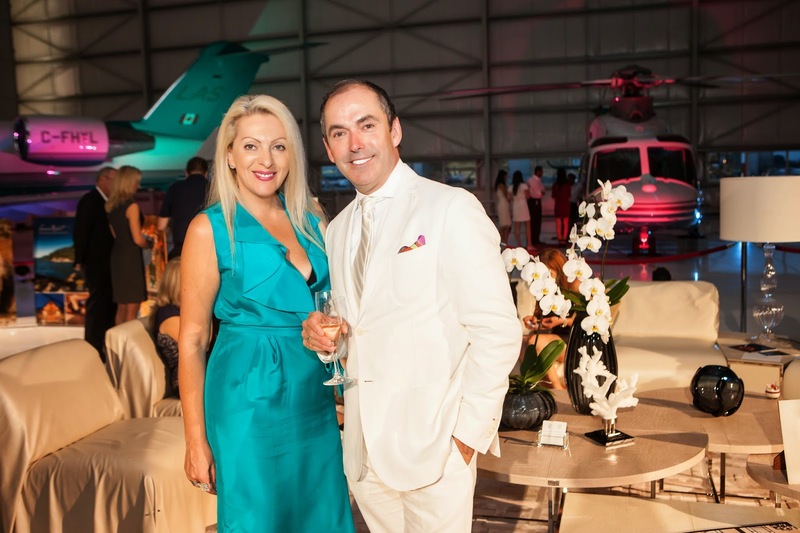 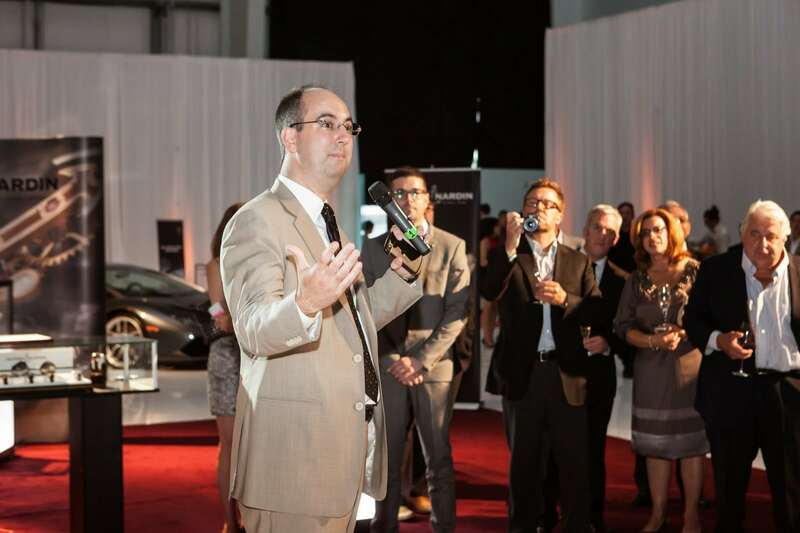 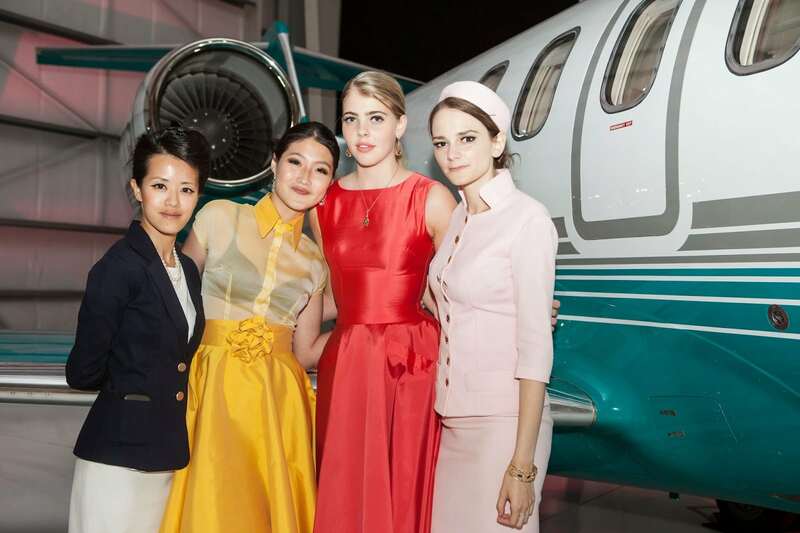 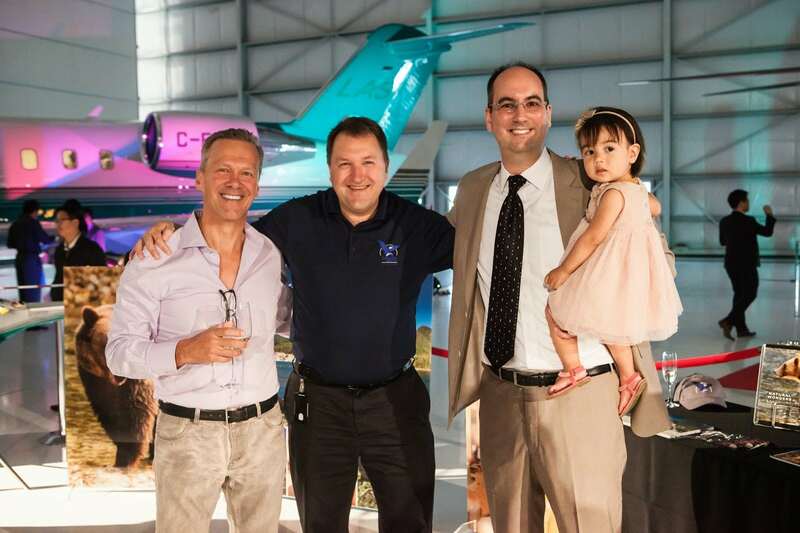 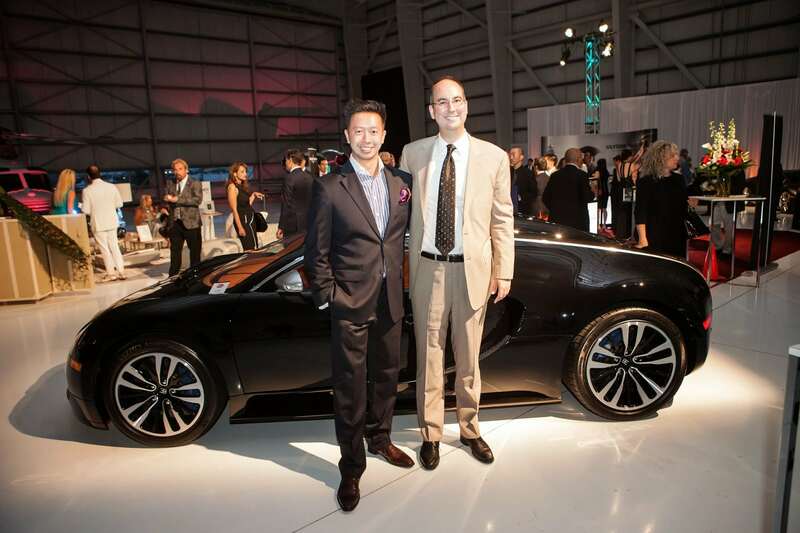 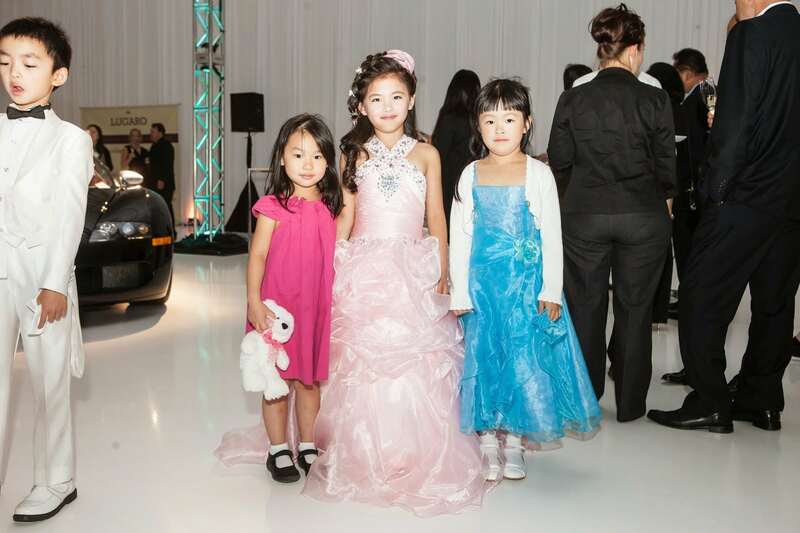 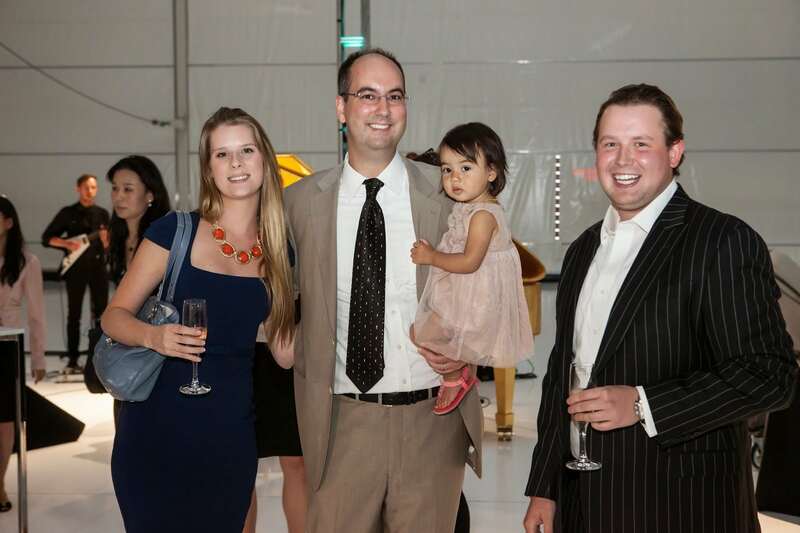 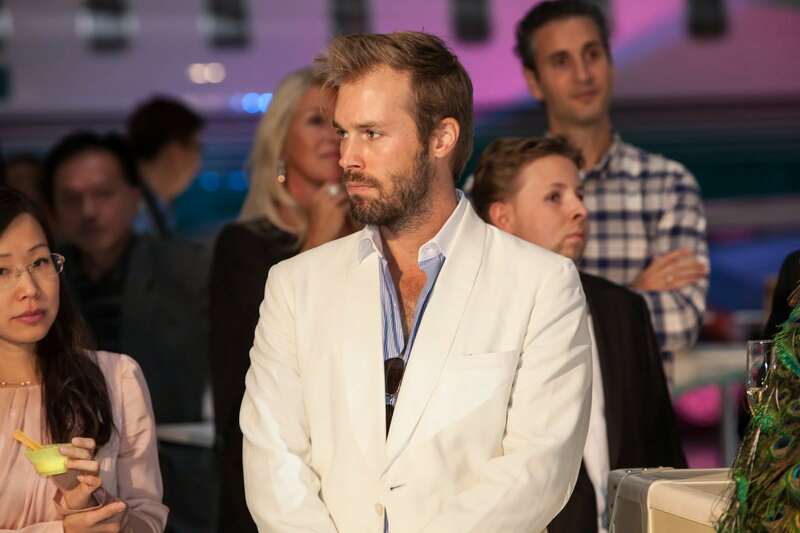 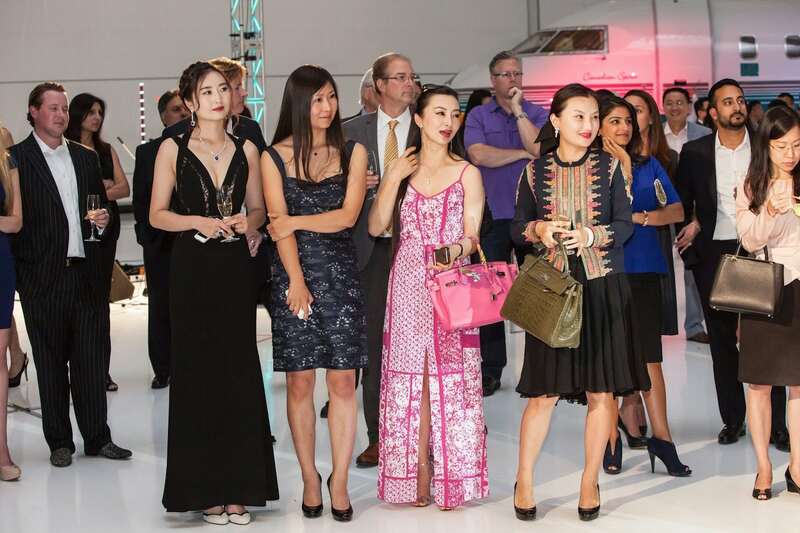 RICHMOND, BC – On the evening of Tuesday the 16th of September, VIPs from all over BC were invited to a very special evening at the London Aviation Centre near the airport’s south terminal. 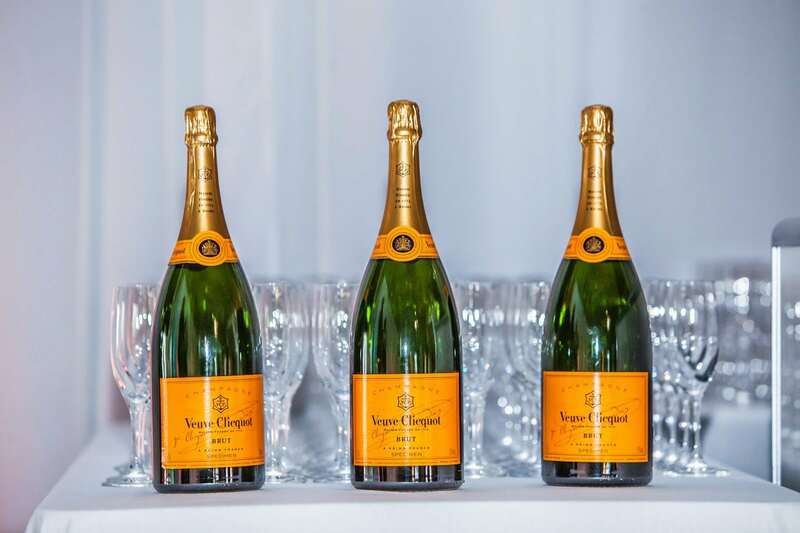 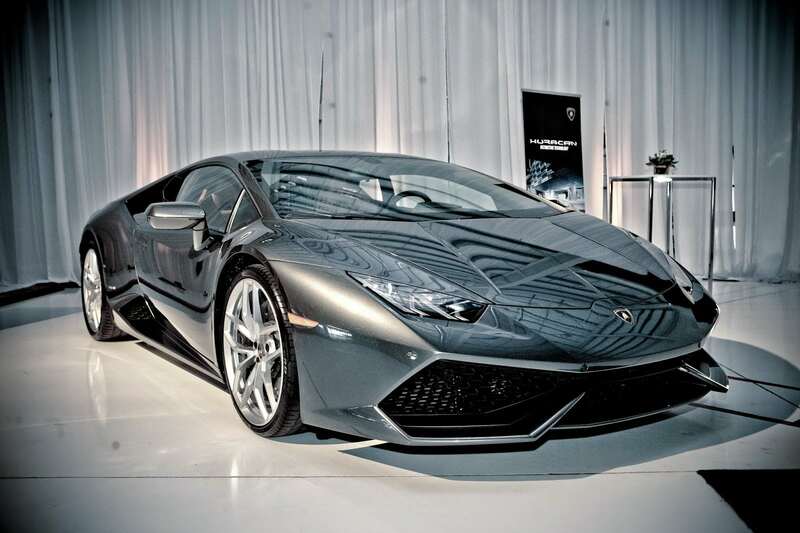 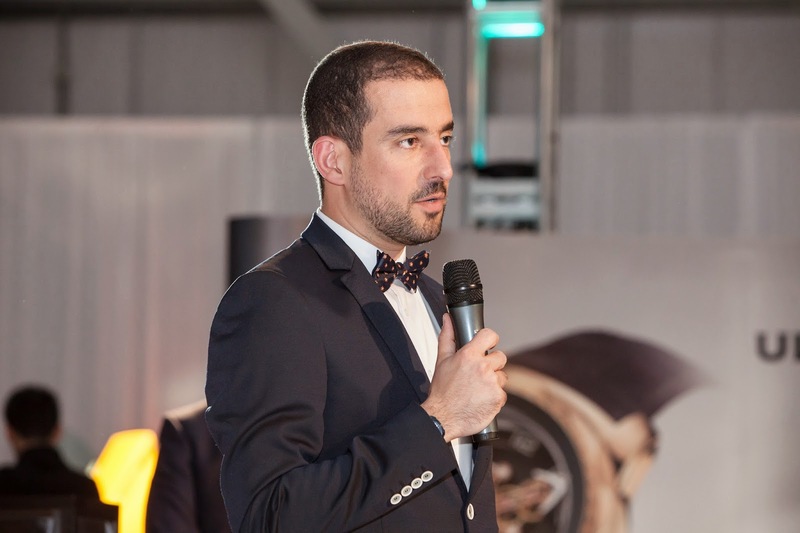 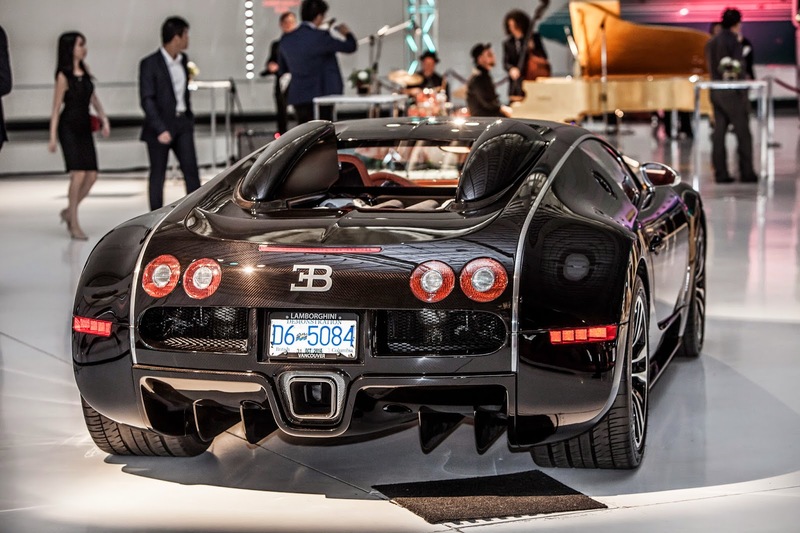 Very few guests were invited to attend, but all those in attendance enjoyed viewing the beautiful Bugatti Veyron Sang Noir, and a couple of incredible Lamborghinis – including the brand new Huracan. 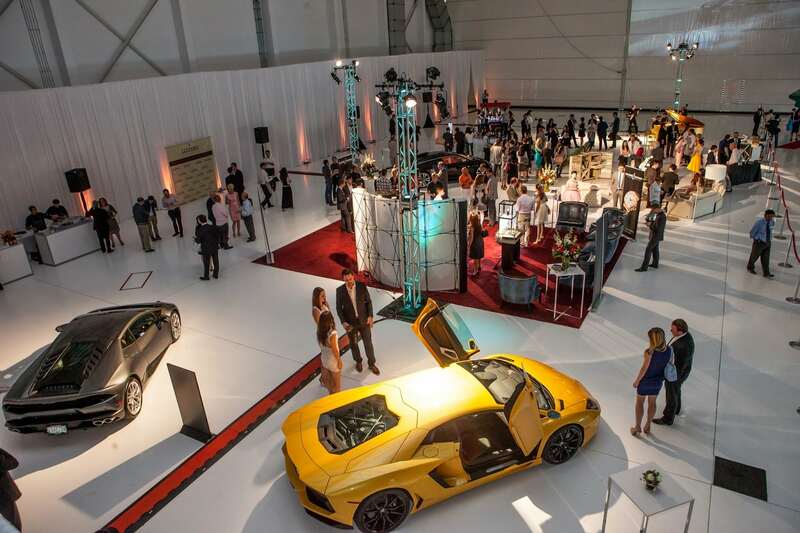 As stunning as those vehicles might be, it was probably wasn’t the first thing to be noticed when entering through the doors of the hangar. 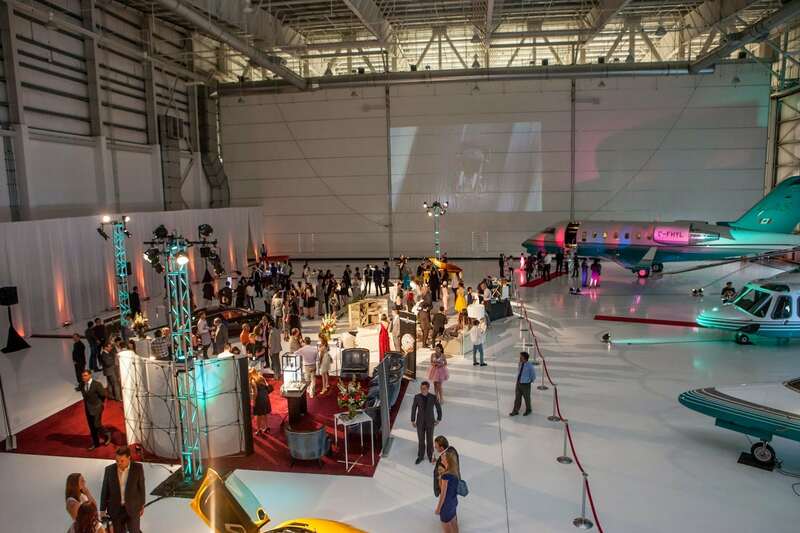 The back-drop to the whole event were 3 beautiful air-crafts: 605 Challenger, Learjet 45, and an AW139 Helicopter. 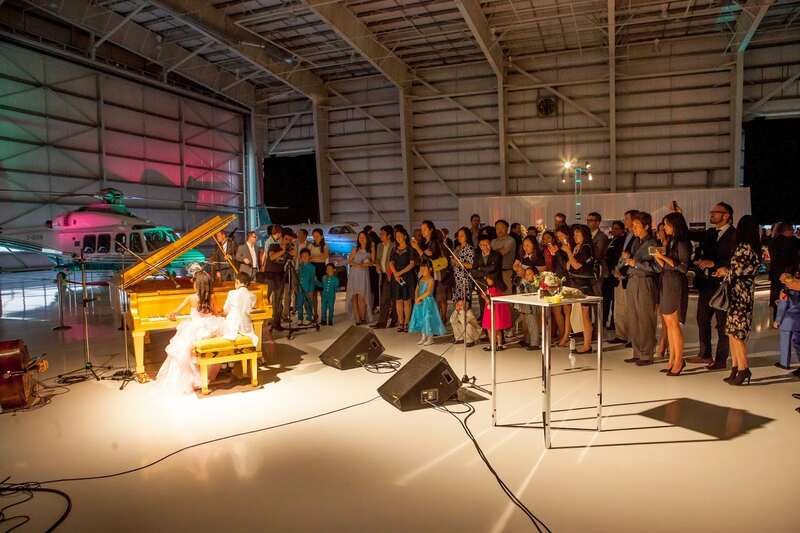 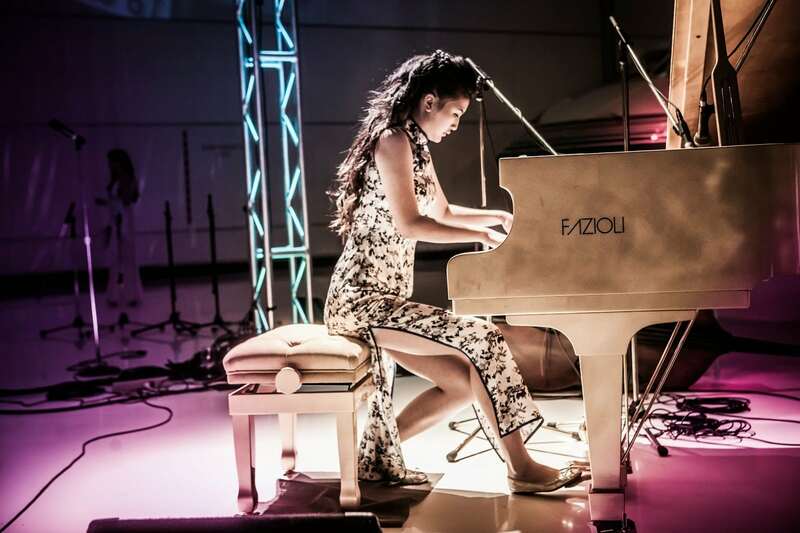 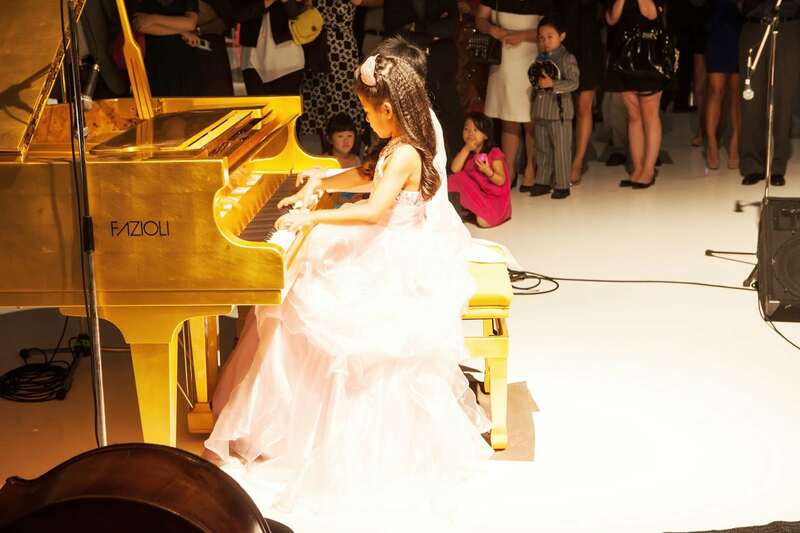 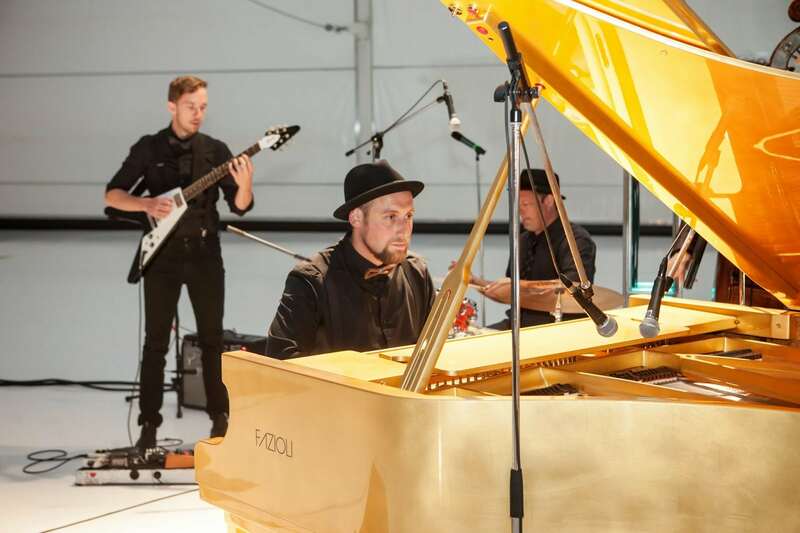 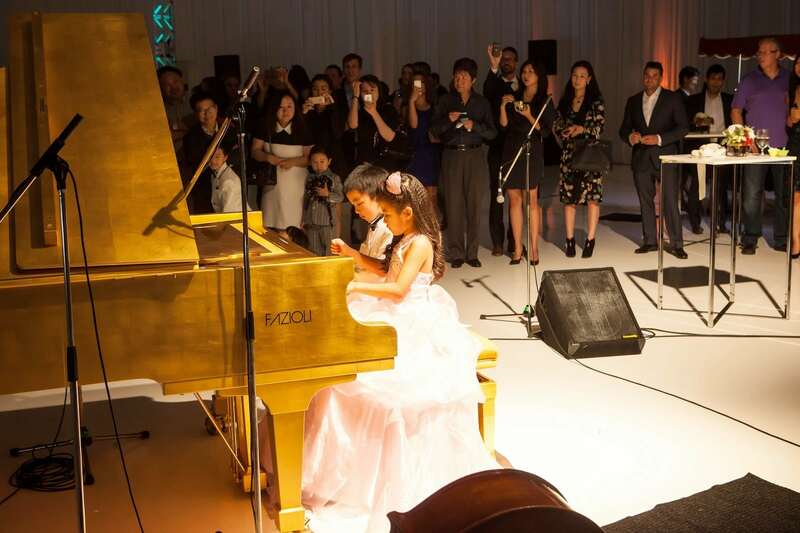 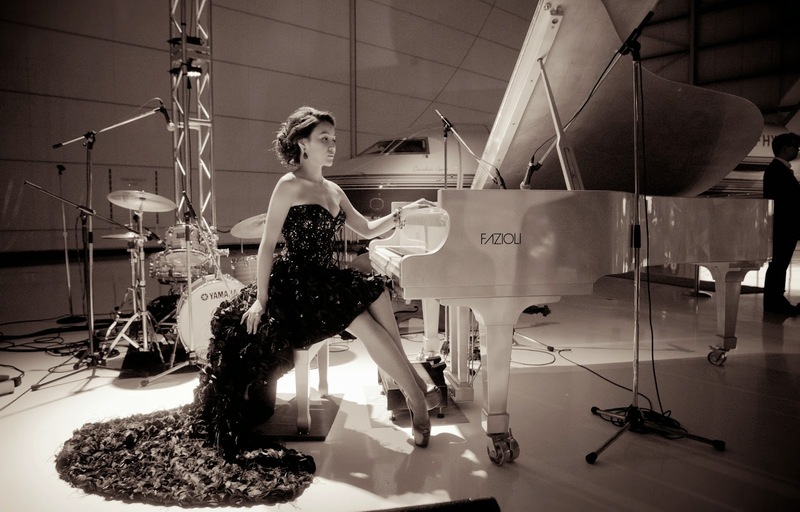 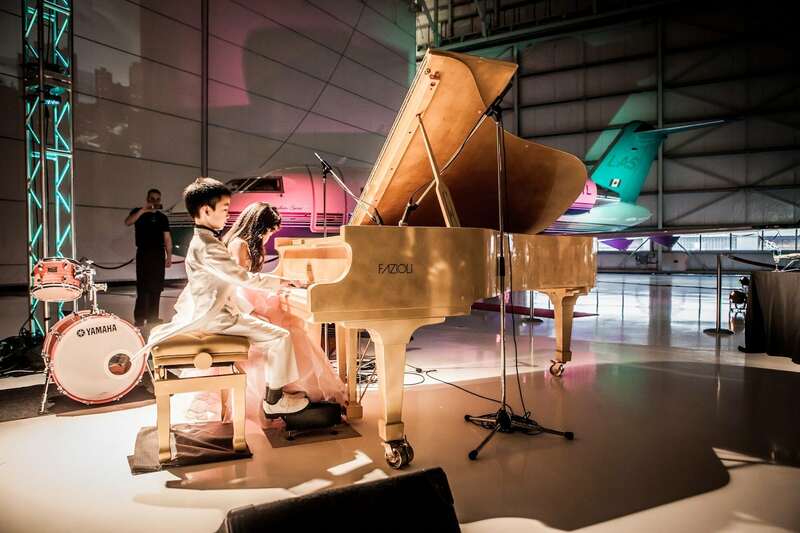 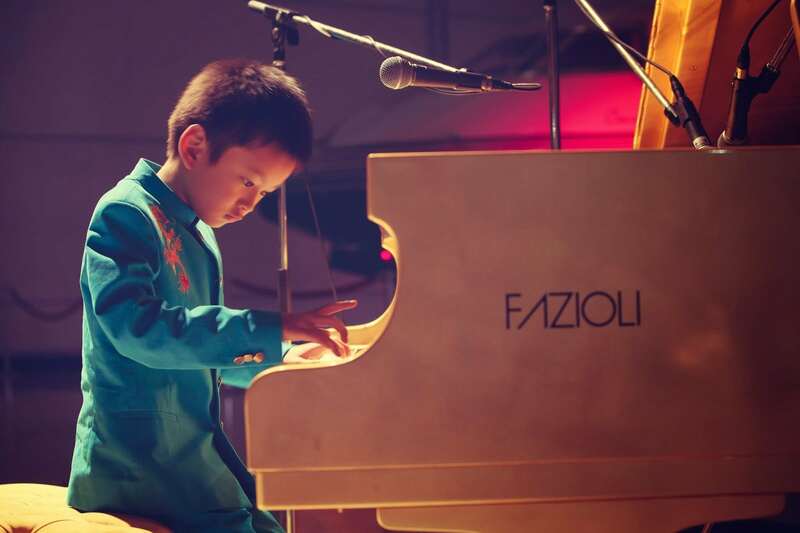 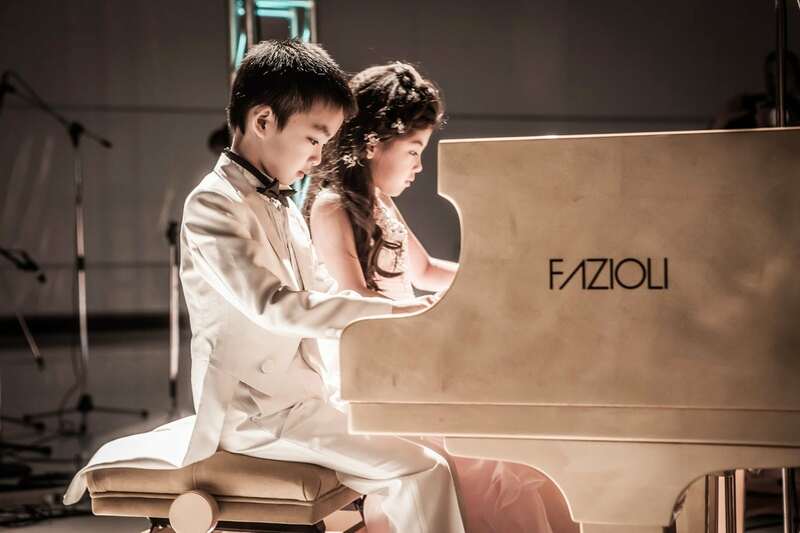 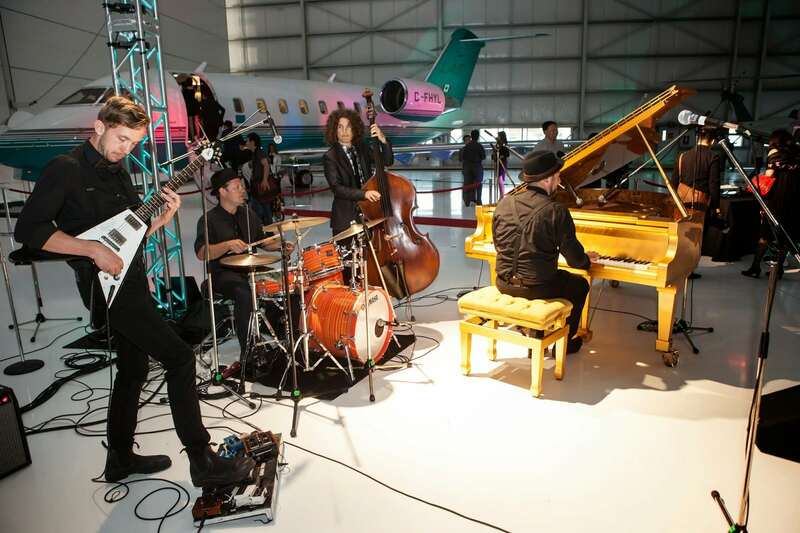 Guests were entertained by music on a 24k Gold Leaf Fazioli provided by Showcase Pianos. 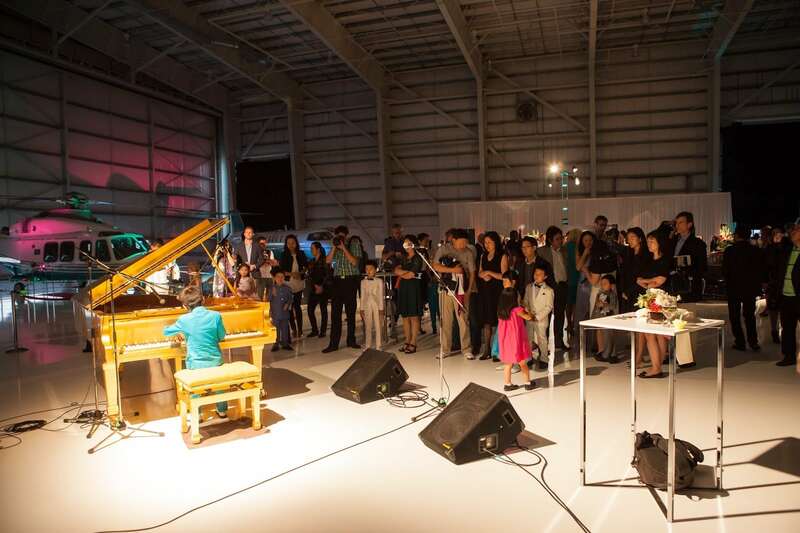 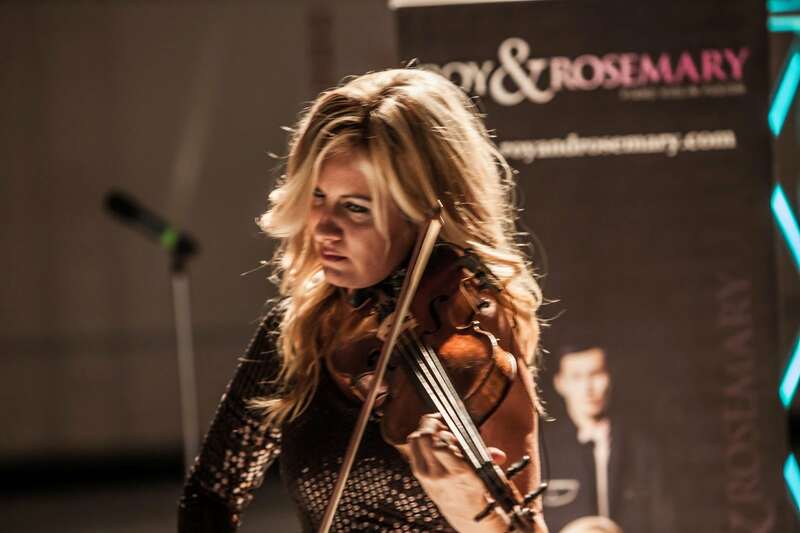 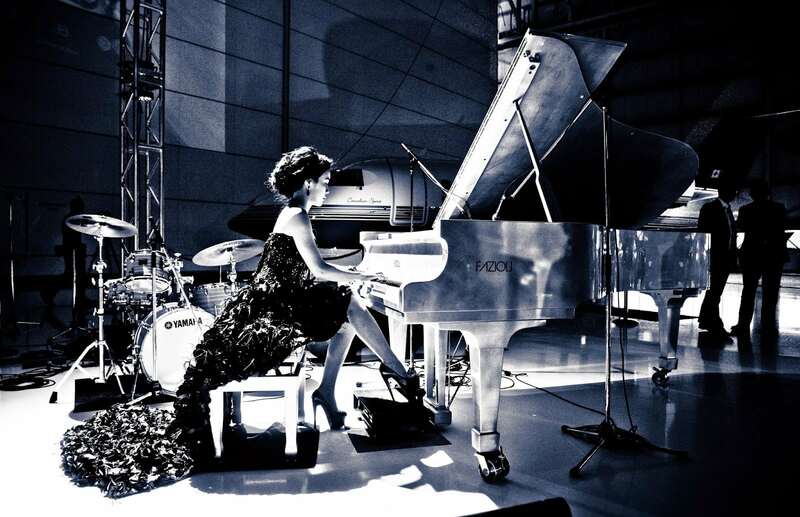 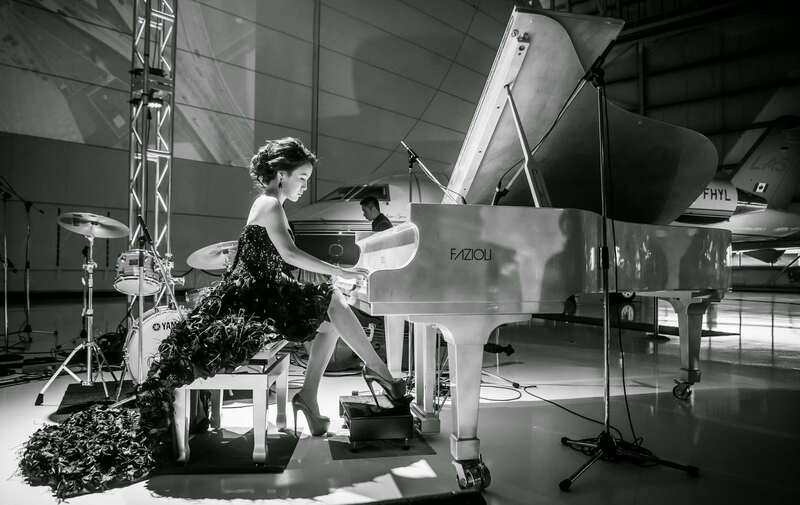 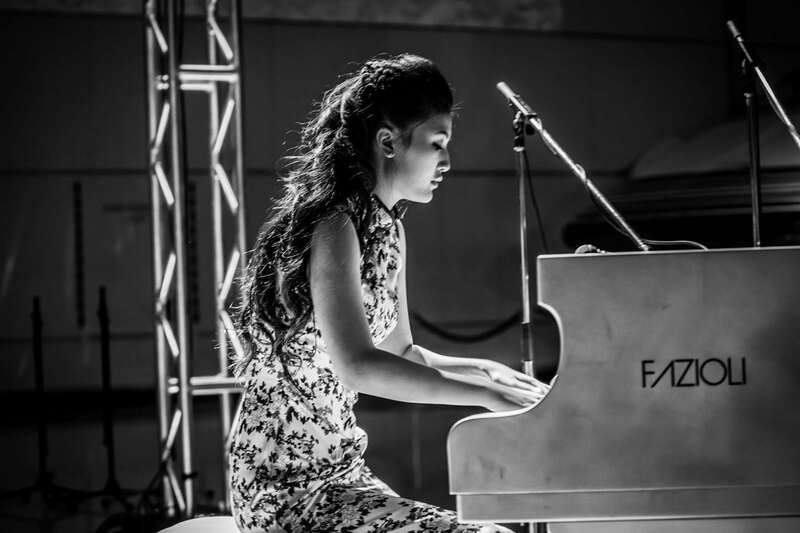 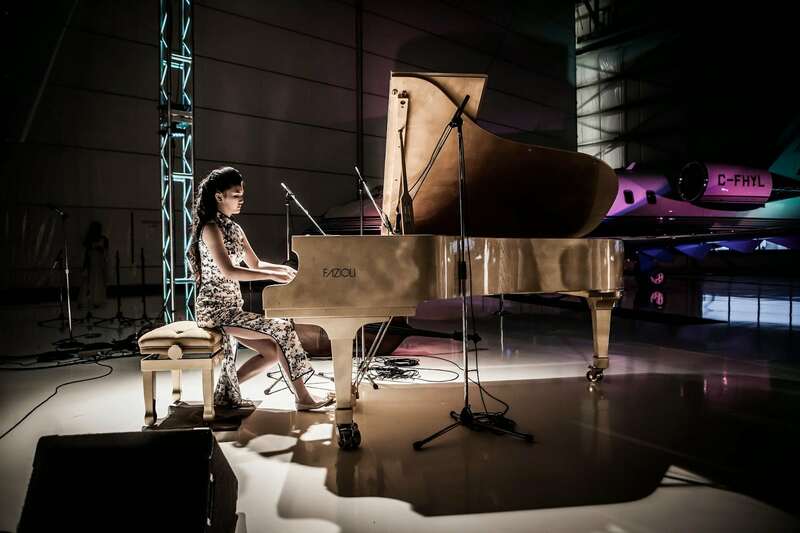 Performances included Roy & Rosemary, Isabelle Xin-Yi Wang, Ray Zhang, Ryan Wang, and the Max Zipursky Jazz Quartet. 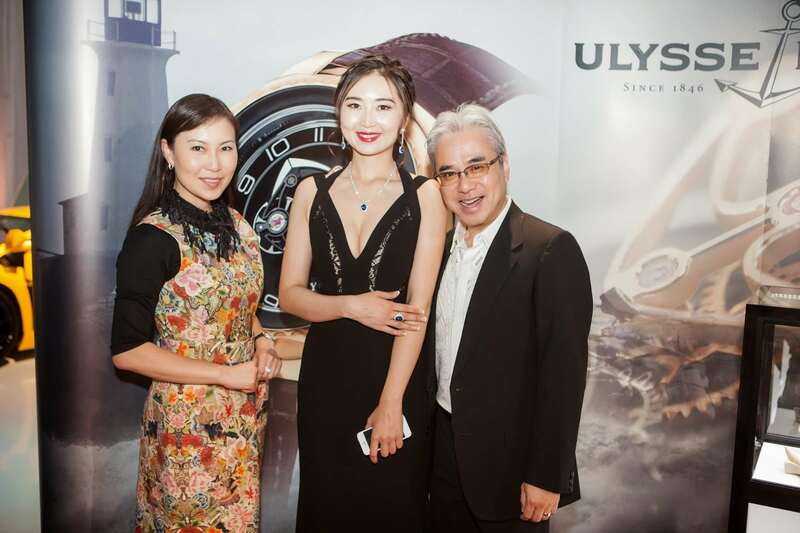 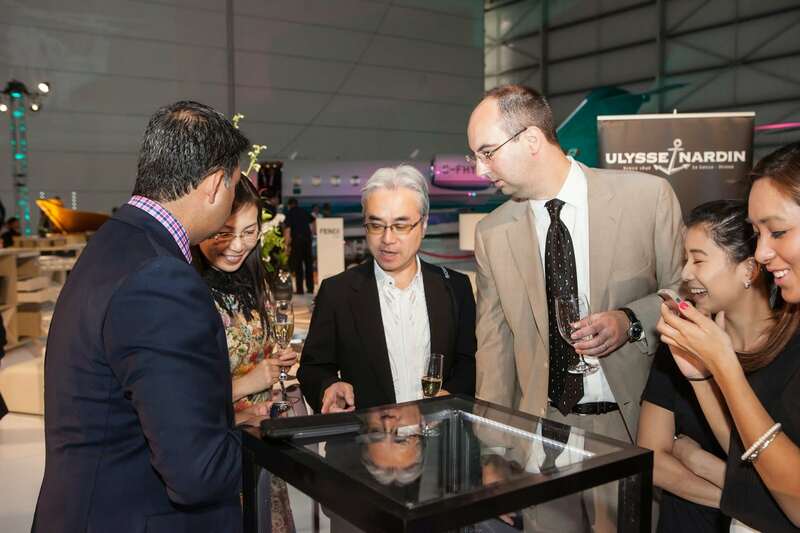 Besides the air-crafts, the most valuable items on display were the Ulysse Nardin watches brought by Lugaro’s. 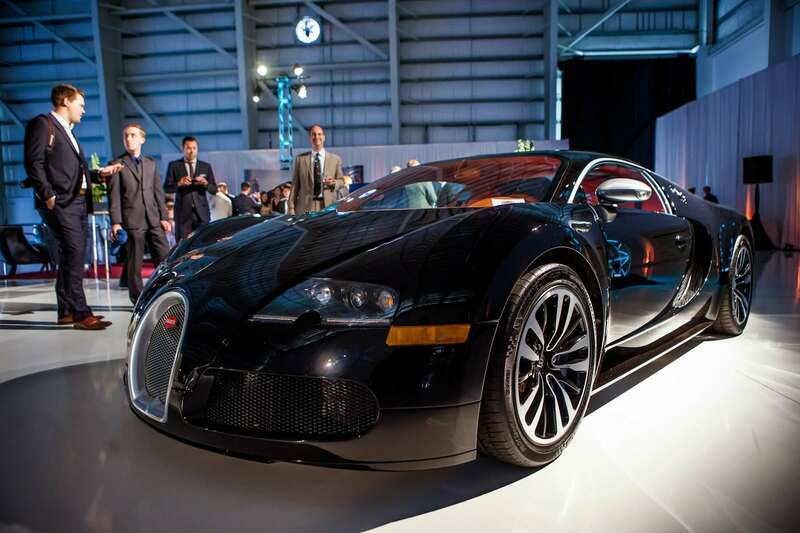 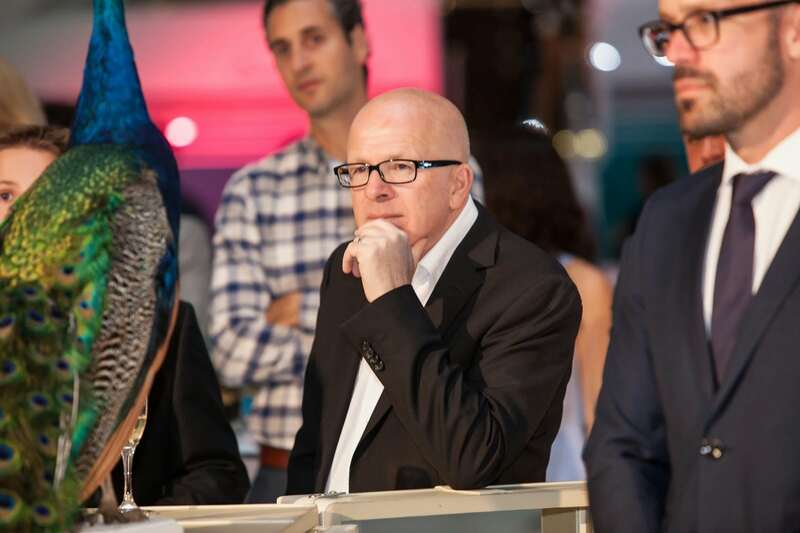 Guests were able to view the “Safari Minute Repeater” as well as the “Alexander the Great”, which is priced at almost $1M. 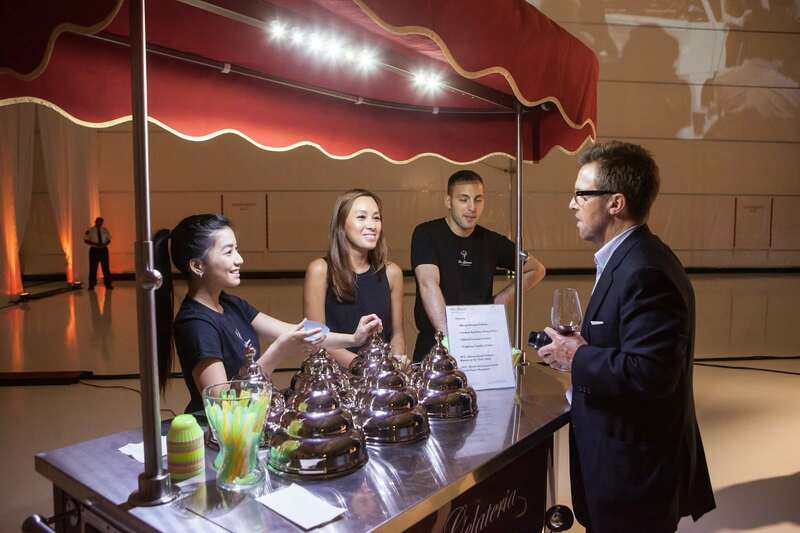 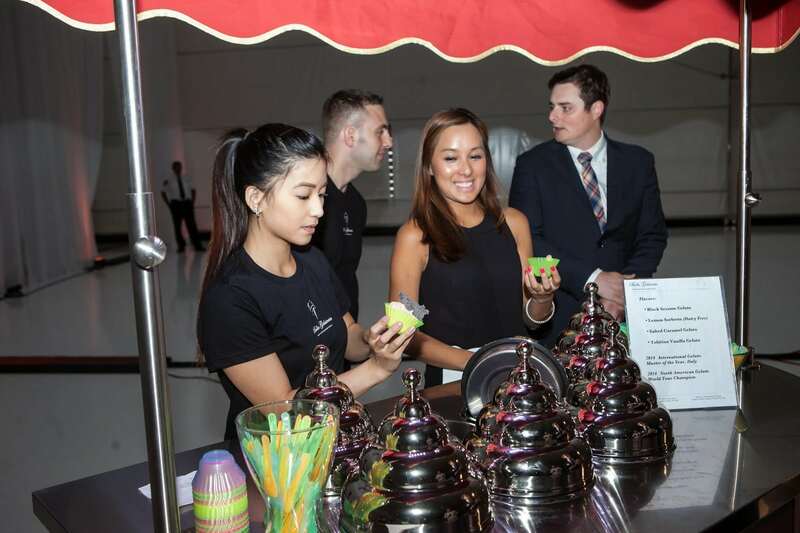 One of the really popular features of the evening was the Gelato station provided by Bella Gelateria.